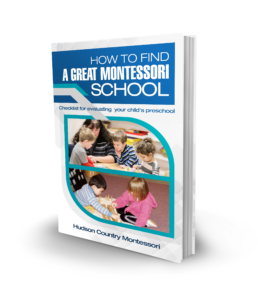 A Montessori setting offers the best beginning. Teachers create a prepared environment for toddlers to explore, discover and develop. Montessori materials introduce early learners to practical life skills, sensorial lessons, language and logic. Children have freedom of movement and are able to choose activities independently. Toddlers begin to see themselves as independent individuals and love learning new skills. Practical life activities such as getting dressed, setting the table, or sweeping the floor develops a sense of pride and excitement at this age. Sequencing, sorting and recognizing patterns are fun and lay the foundation for math and science skills. Toddlers experiment with art mediums, clap and move along to music, engage in lessons that encourage sensory and motor development, and enjoy outdoor time every day that weather permits. 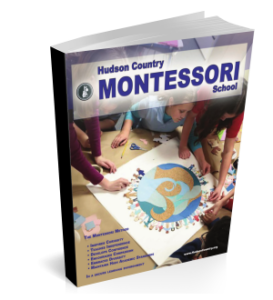 Our teachers are mature, experienced and Montessori certified for this age group. The majority of our staff has been with us for ten years or more – which assures you and your child continuity of care. We are careful to establish routines for toddlers—consistency helps children feel secure- yet, individual needs are always met as they arise. Our staff demonstrates respect, tenderness, warmth, and patience that allow the children to blossom. Children and parents form close bonds with HCMS staff who work as partners with your family to support and care for your child. Staff are always available to answer your questions and doors are open to parent visits. Our formula for success is multi-tiered: a strong partnership with each child’s family; highly skilled teachers; close observation and responsiveness to each child; and, carefully designed classrooms, materials and play areas that are safe, engaging and developmentally appropriate. Research indicates that the most important years of human emotional and educational development are the first six years of life. We offer an exceptional environment for young children to grow and we are dedicated helping every child realize his or her potential. Extended care options as well as flexible part-time schedules are available to meet the needs of your child and your family. We encourage you to visit and see what HCMS has to offer.